As enterprises deploy more internal and external mobile apps to conduct business they are also opening new attack surfaces placing customer, partner, and confidential enterprise data at risk. Securing mobile apps and detecting impersonation or automated control of apps is an essential safeguard to prevent data breaches. 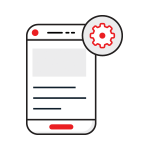 Bot detection is invisible to the customer without forcing a visual challenge to provide the best user experience and application performance. 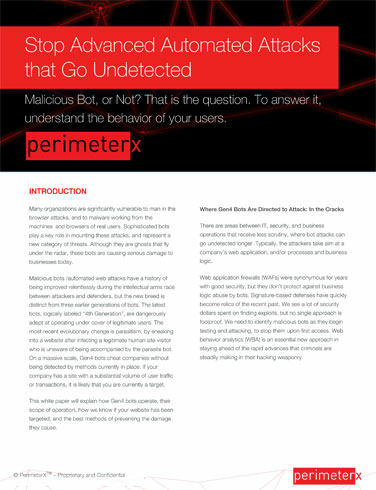 PerimeterX stops bots in real time with detection policies created by behavior analysis that are being constantly refined by machine learning.